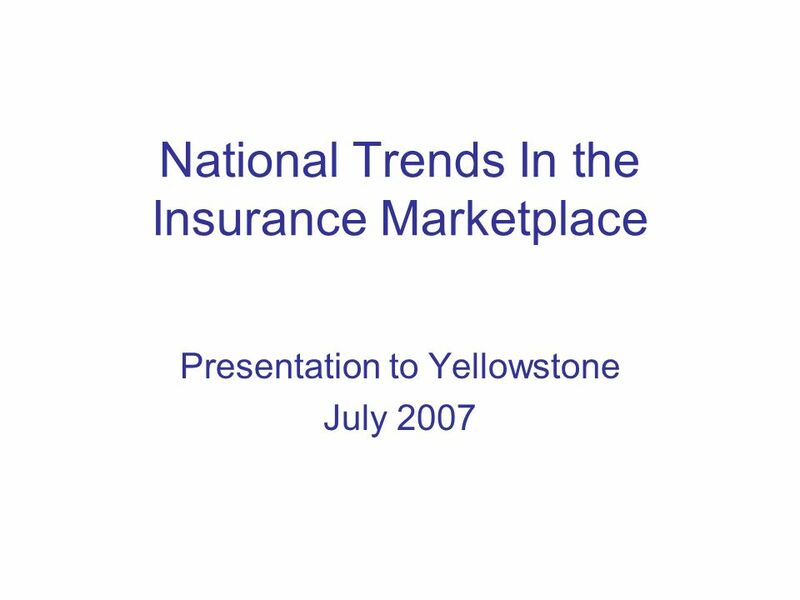 National Trends In the Insurance Marketplace Presentation to Yellowstone July 2007. 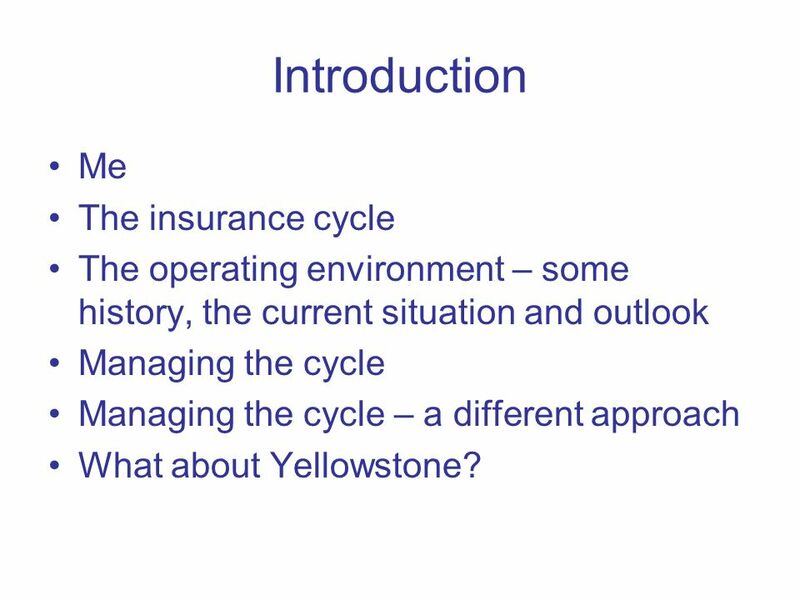 2 Introduction Me The insurance cycle The operating environment – some history, the current situation and outlook Managing the cycle Managing the cycle – a different approach What about Yellowstone? 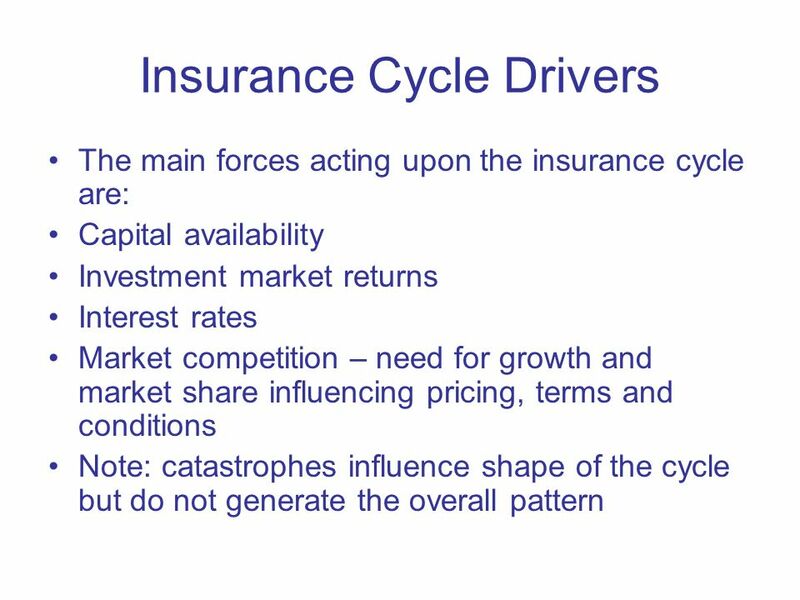 3 The Insurance cycle What is it? 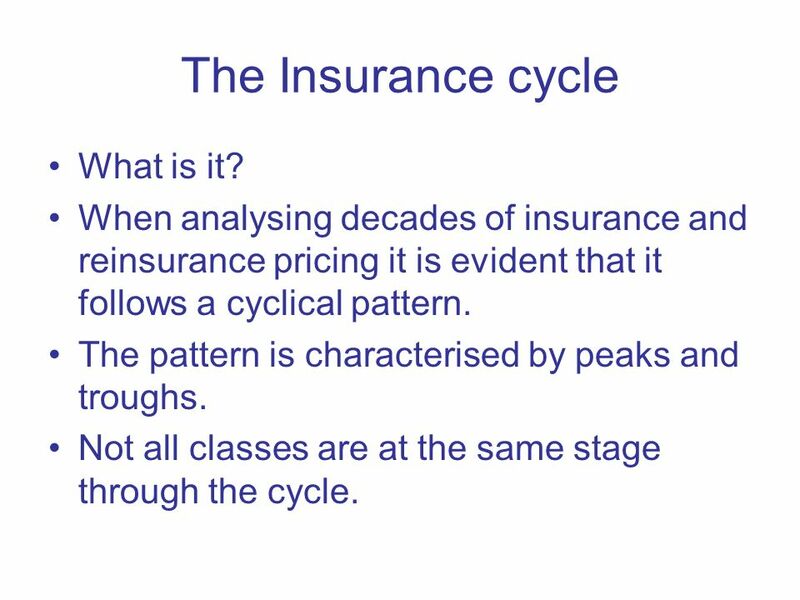 When analysing decades of insurance and reinsurance pricing it is evident that it follows a cyclical pattern. The pattern is characterised by peaks and troughs. Not all classes are at the same stage through the cycle. 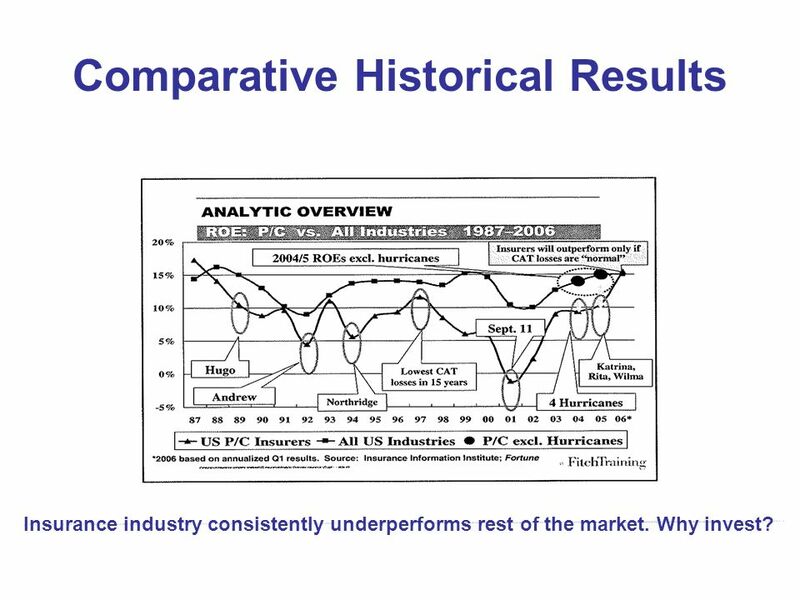 6 Comparative Historical Results Insurance industry consistently underperforms rest of the market. Why invest? 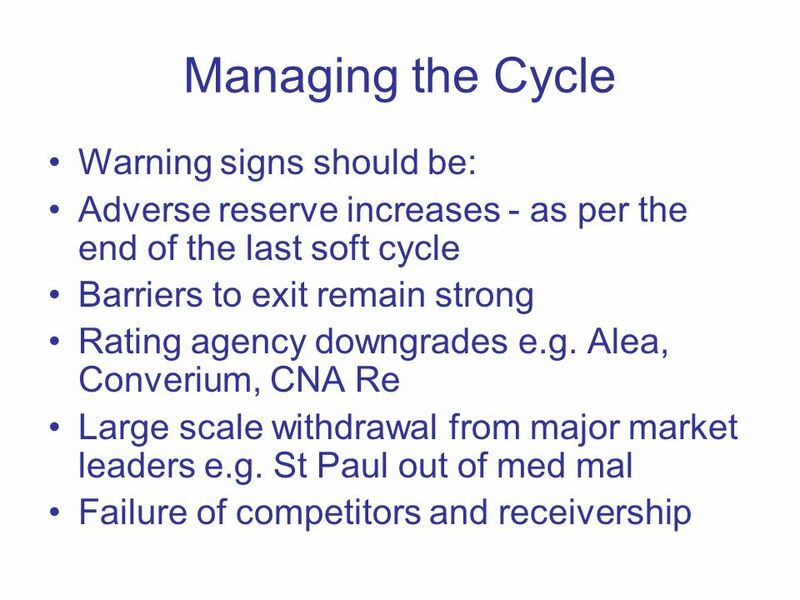 20 Managing the cycle – a different approach There is some give and take with this approach. To have certainty means that the temptation to move in the soft cycle out of the group must be dealt with and removed from the equation – three musqueteers The temptation to consolidate with other RRGs should also be approached with extreme caution – there are not always aligned agendas and levels of maturity When (if) things go wrong e.g. 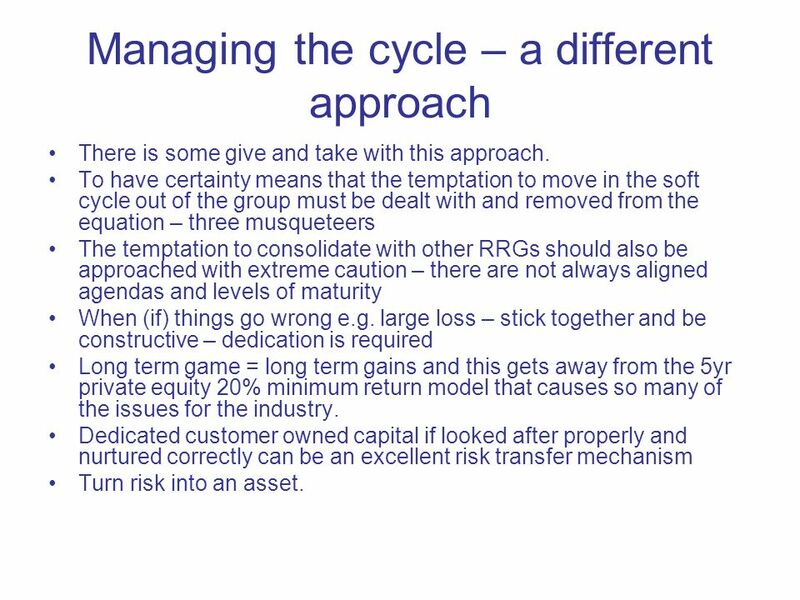 large loss – stick together and be constructive – dedication is required Long term game = long term gains and this gets away from the 5yr private equity 20% minimum return model that causes so many of the issues for the industry. 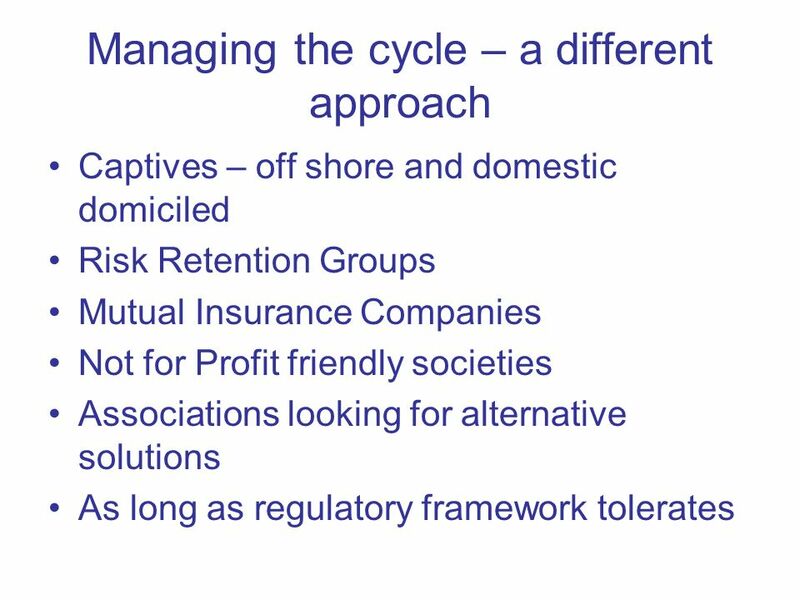 Dedicated customer owned capital if looked after properly and nurtured correctly can be an excellent risk transfer mechanism Turn risk into an asset. 21 What about Yellowstone? Yellowstone is not yet mature but is getting there. A cautious approach to reserves should protect surplus. 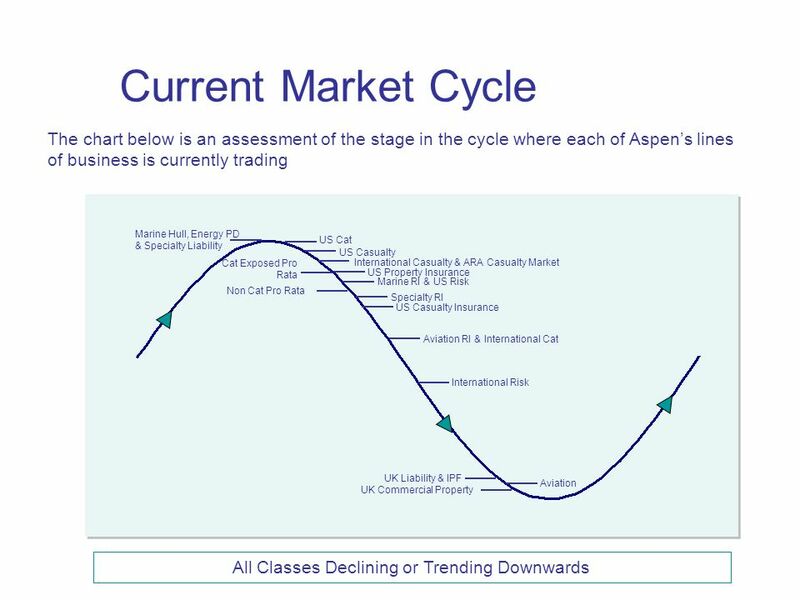 Remember that casualty classes have sting in the tail - scorpion Grow with caution – protect what you have Price stability and integrity is key to future success – dont be tempted to follow the market – do your own thing according to realistic objectives. 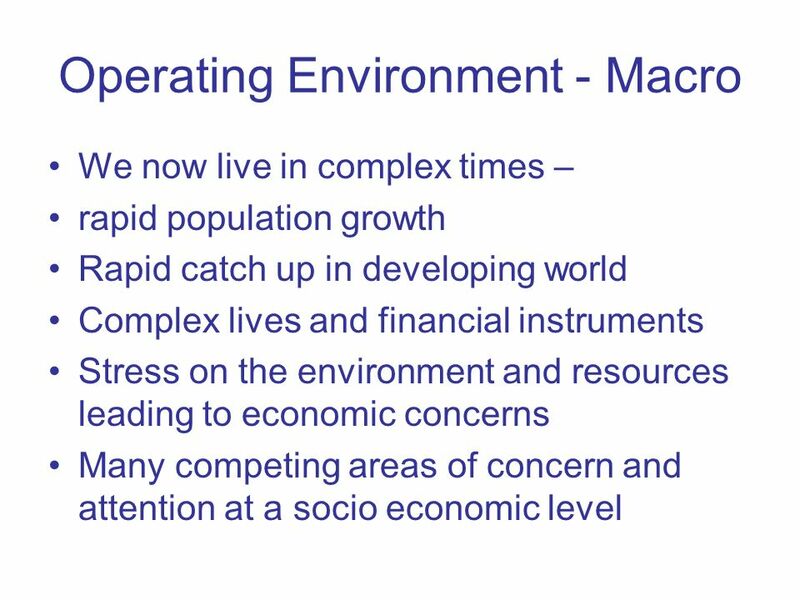 With cautious reserving and in time obvious redundancy in reserves i.e. 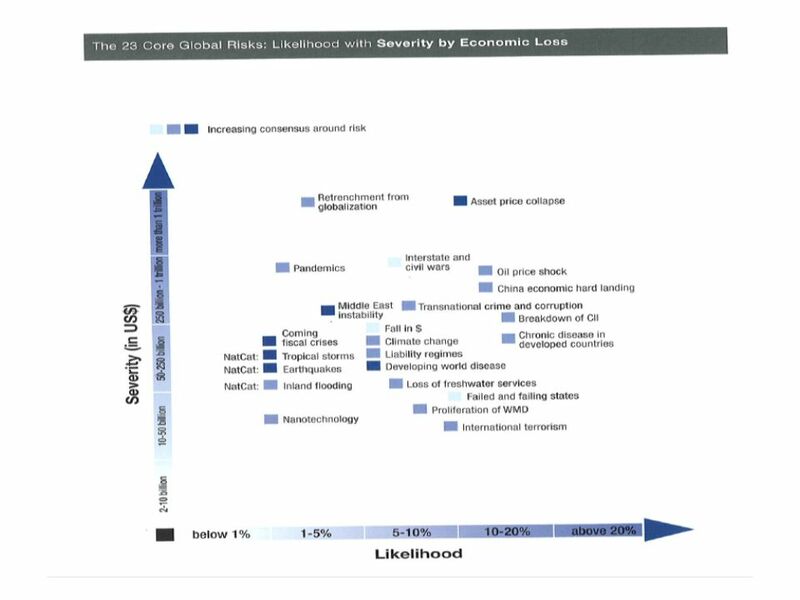 releases then reinsurers will gain greater confidence in the account and price accordingly. 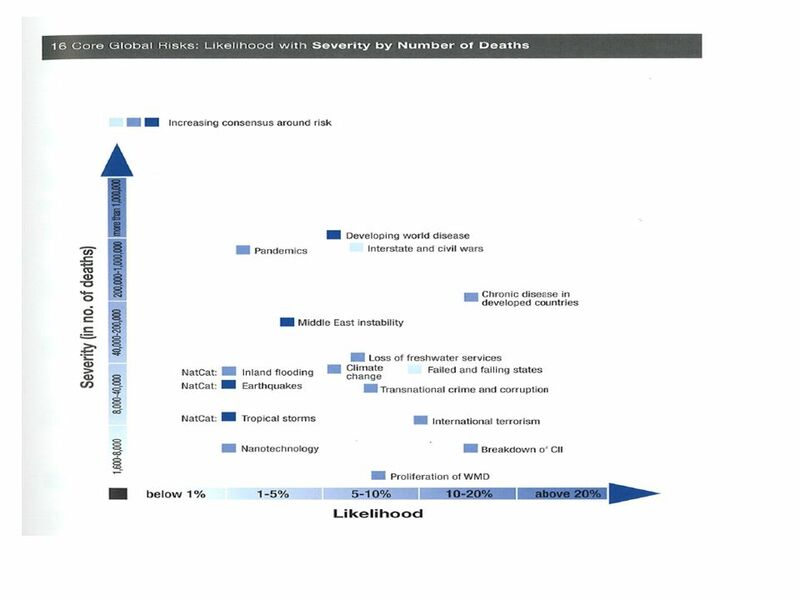 By being less reliant on outside support in the primary level the benefit is that member hospitals can continue to purchase insurance and deliver healthcare without the distressing and distracting burden of seeking insurance or reinsurance in times of little or no capacity. 22 What about Yellowstone? 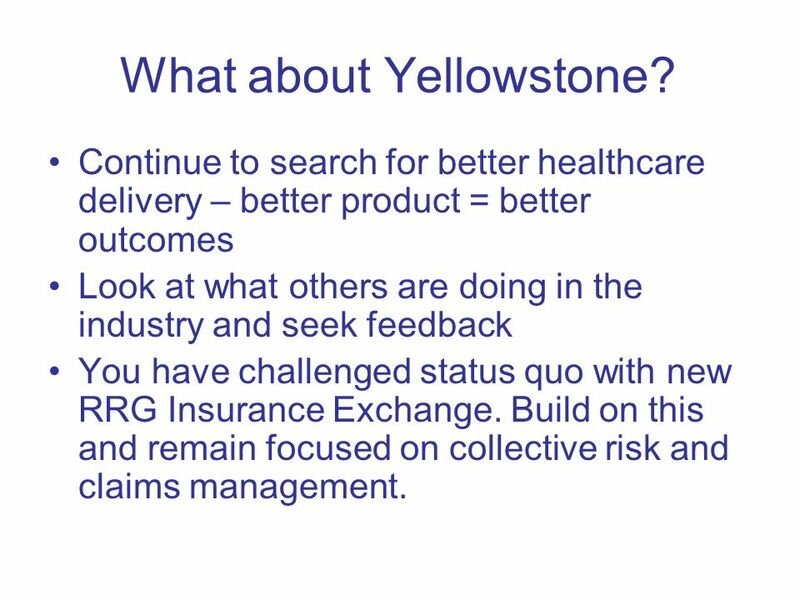 Continue to search for better healthcare delivery – better product = better outcomes Look at what others are doing in the industry and seek feedback You have challenged status quo with new RRG Insurance Exchange. 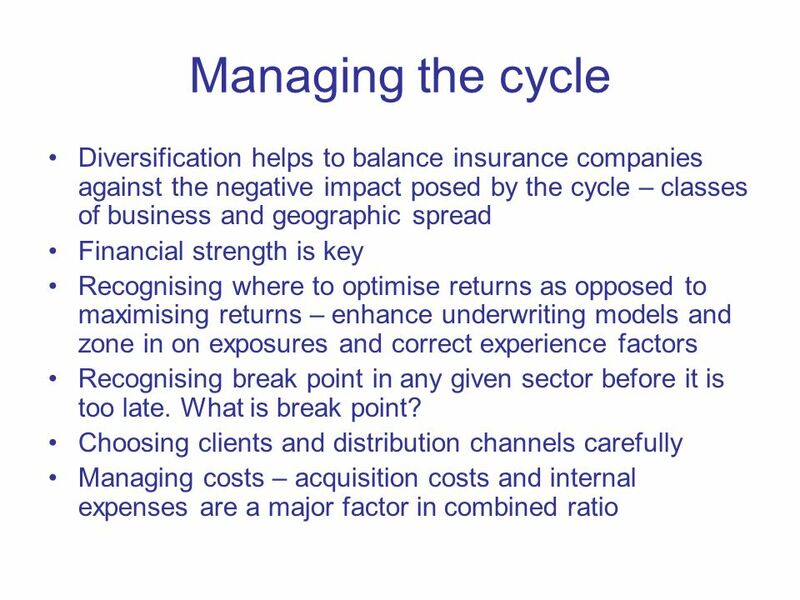 Build on this and remain focused on collective risk and claims management. 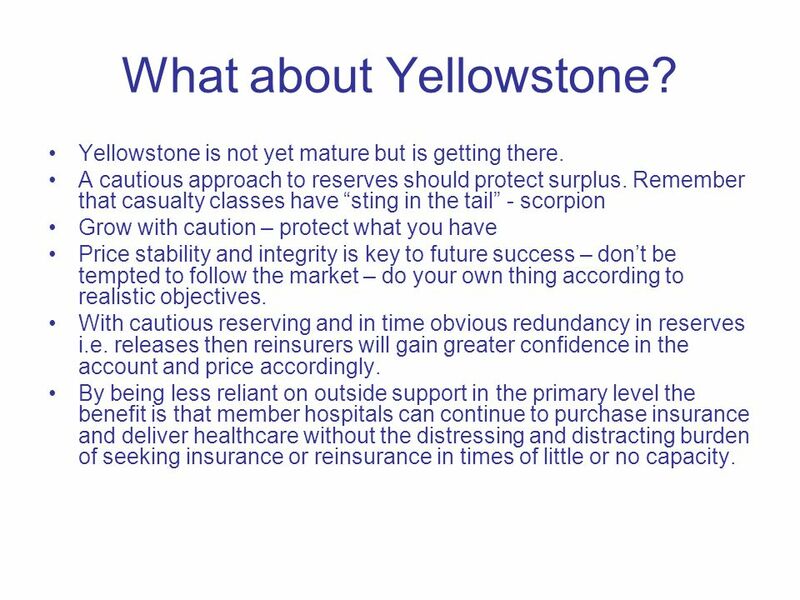 Download ppt "National Trends In the Insurance Marketplace Presentation to Yellowstone July 2007." 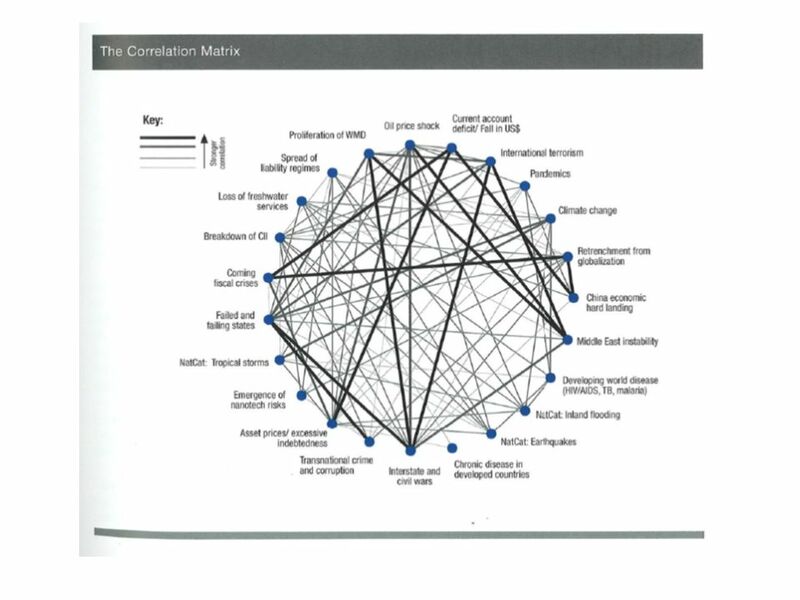 A.M. Best Company's Insurance Market Briefing Canada P&C Joseph Burtone Assistant Vice President September 8, 2010. A.M. Best’s Insurance Market Briefing - Canada Reinsurance Overview Greg Reisner A.M. Best Company September 8, 2010. 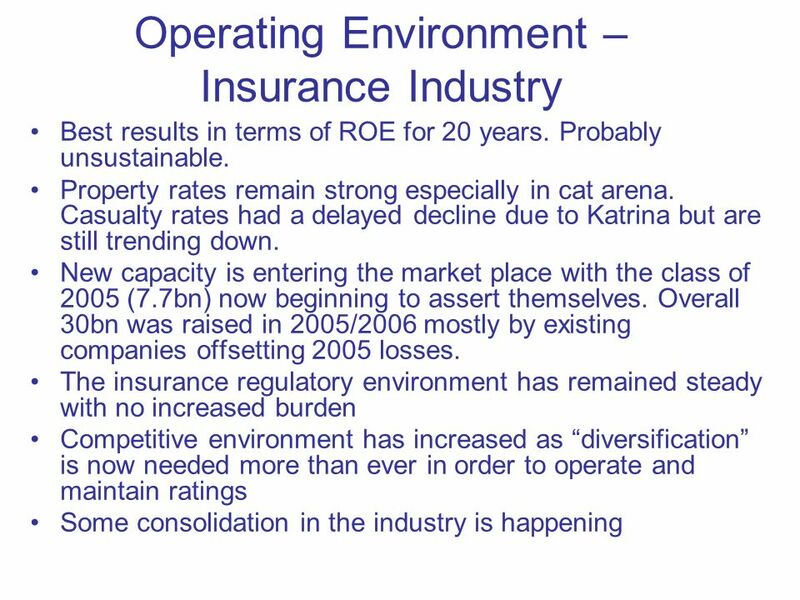 Münchener Rück Munich Re Group “Recent volatility and future strategy in the insurance industry” September 2003 Nikolaus von Bomhard. State of the P&C Market. State of the P&C Market P&C Market Presenters : Jim Dwane, Chartis Insurance Jim O’Connor, Willis Jim O’Connor, Willis. 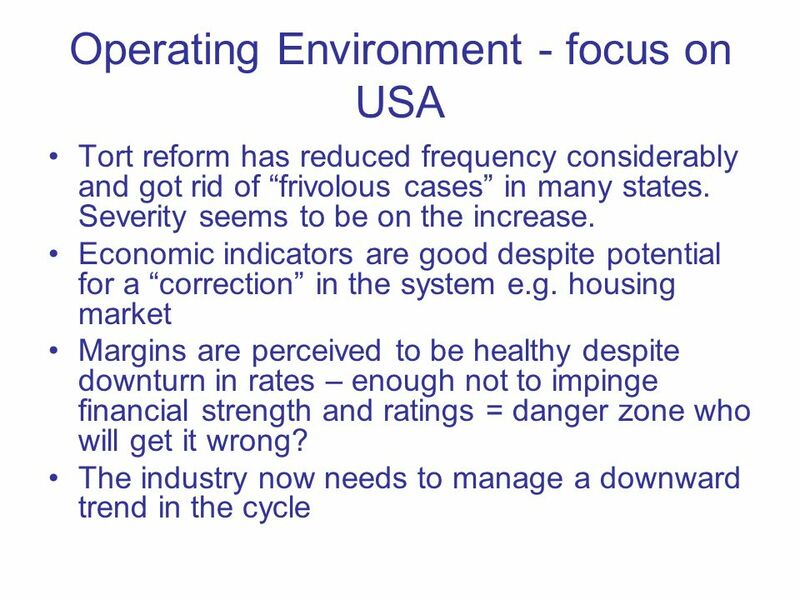 Endurance Specialty Holdings Ltd AIFA Conference Michael E. Angelina Chief Actuary and Chief Risk Officer. © Lloyd’s Paul Hennessy Navigators Underwriting Agency Lloyd’s Dynamics of the reinsurance international market and market perspectives April 2013. 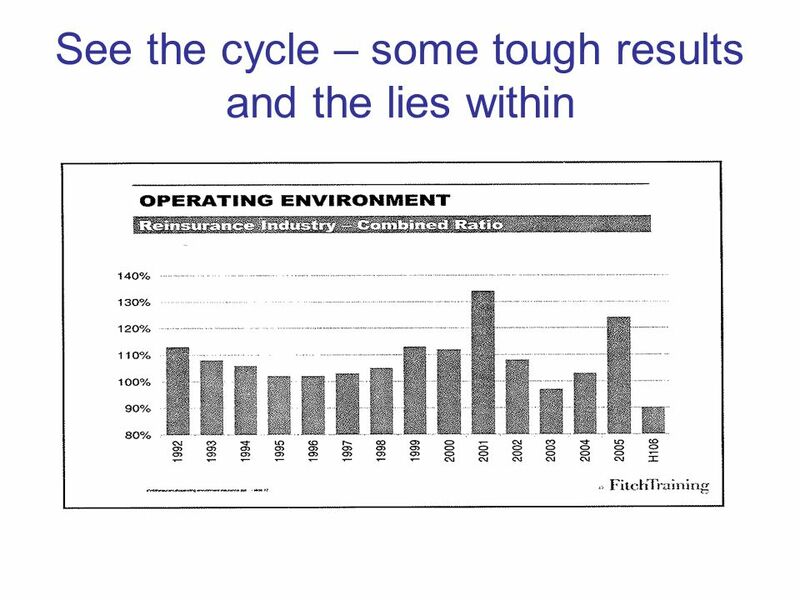 1 Risk Management at Progressive Insurance How we got started Getting corporate support Capital Management Examples of deliverables The value risk management. 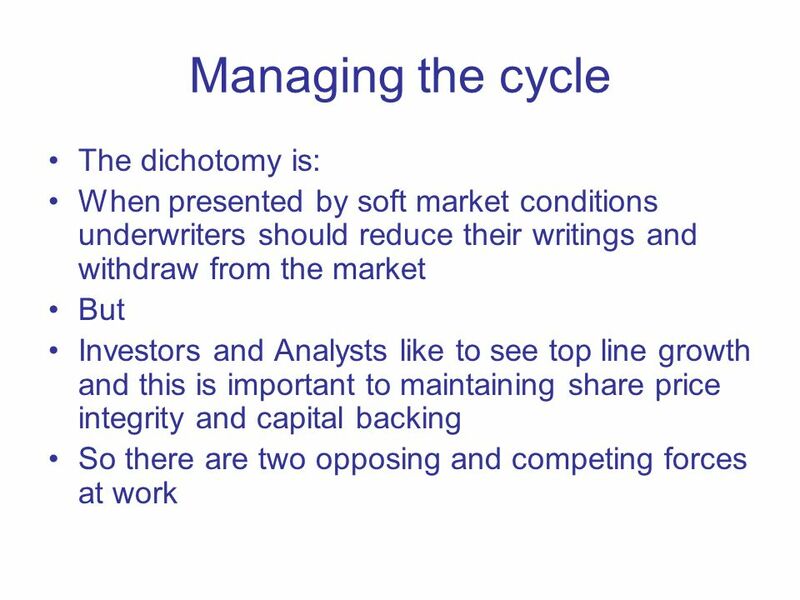 Introduction to Derivatives and Risk Management Corporate Finance Dr. A. DeMaskey. 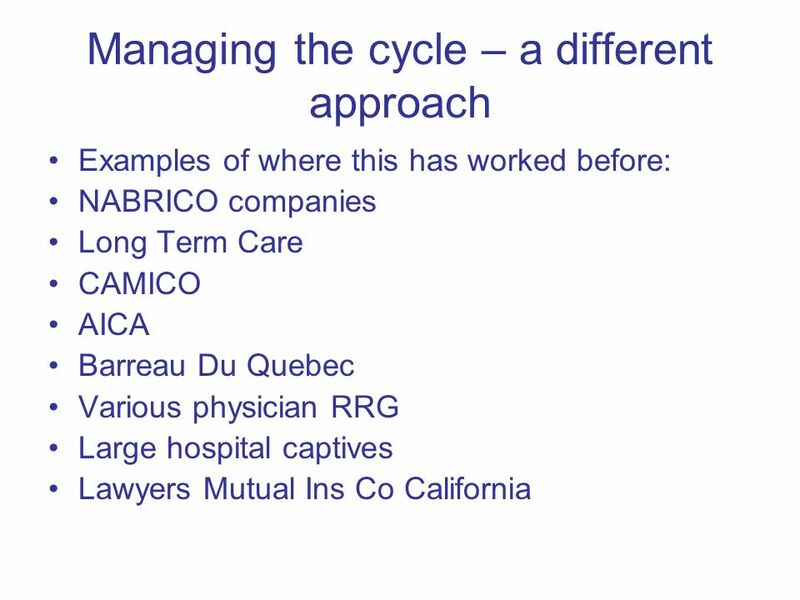 Canadian Insurance Market Overview February 18, 2010 Presented by: Murray Sali B.Admin, CMA, CAIB, CIP, CRM. 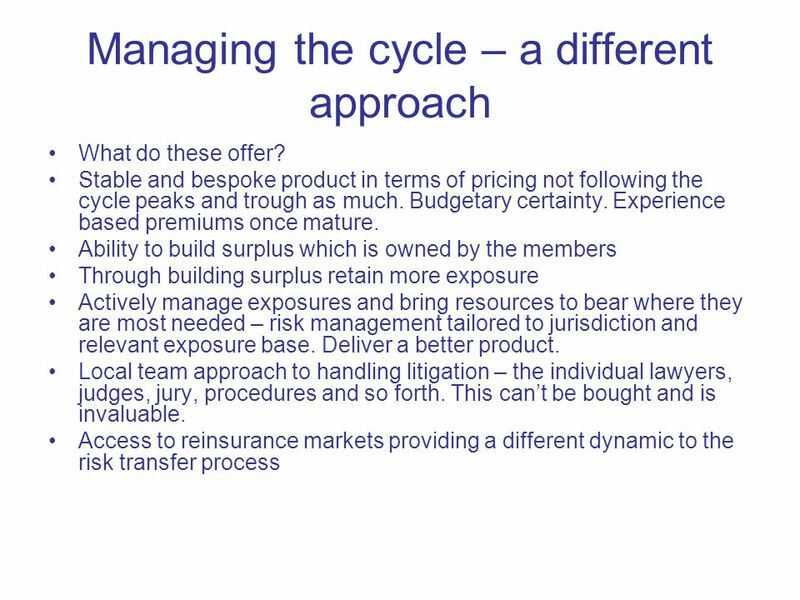 MANAGING ASSET/LIABILITY RISK WITH REINSURANCE AND ASSET STRATEGIES - A P/C Insurance Company Application Casualty Actuarial Society Casualty Loss Reserve. Property and Casualty Insurance Marketplace Update November 2009 Tim de Jonge BComm, CIP, CRM Account Executive Aon Global Energy. Surety Outlook Willis Construction Risk Management Conference April 19-21, 2011 Dallas, TX. The Role of the Actuary in a General Insurance Company Yangon, Myanmar 14 July 2014 Scott Yen. Sapient Insurance Partners. Overview & Services We have almost four decades of combined experience in the property & casualty insurance and reinsurance.